Johnson-Promident Clear Blue Digi 2.0 LED Curing Light Johnson-Promident’s Clear Blue Digi 2.0 LED Curing Light is portable, powerful, and practical. A dentist from Wailuku, HI, whose overall satisfaction with the Clear Blue Digi 2.0 curing light was excellent commented that the unit is “well designed [and] easy to use.” The Clear Blue Digi 2.0 from Johnson-Promident is a high-performance LED cordless curing light that features 3 working modes and the ability to set exposure times for any clinical protocol. With power levels up to 1,200 mW/cm2, the compact, lightweight curing light emits light in a spectrum of 430 nm to 480 nm wavelengths to quickly and efficiently solidify any brand of composite resin. 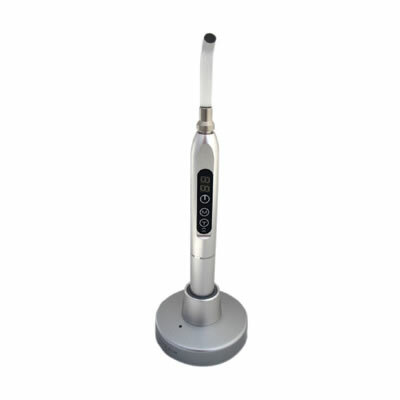 Ten dentists participated in this Dental Product Shopper evaluation of the Clear Blue Digi 2.0 LED Curing Light, rating and commenting on attributes such as ease of use, curing time, ergonomics, and ease of access.